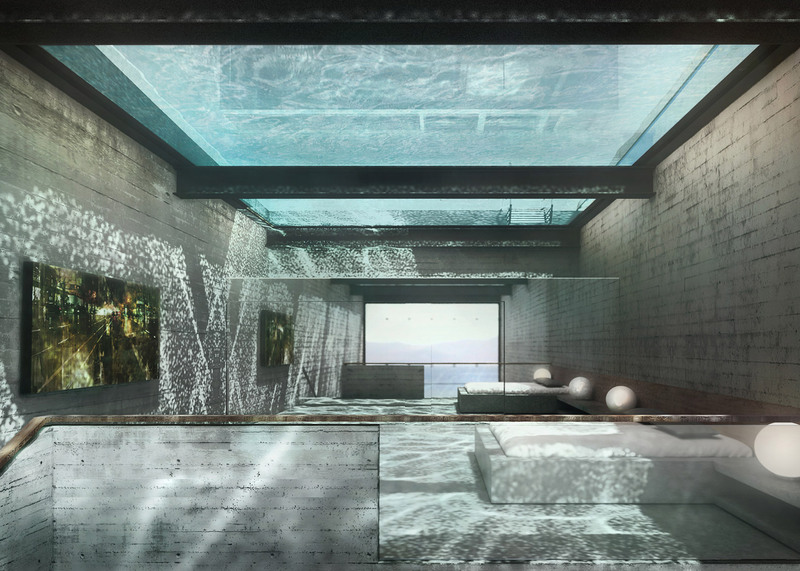 Open Platform for Architecture is moving forward with plans to build a subterranean residence that will slice into a mountain near Beirut and feature a glass swimming pool for a roof (+ slideshow). 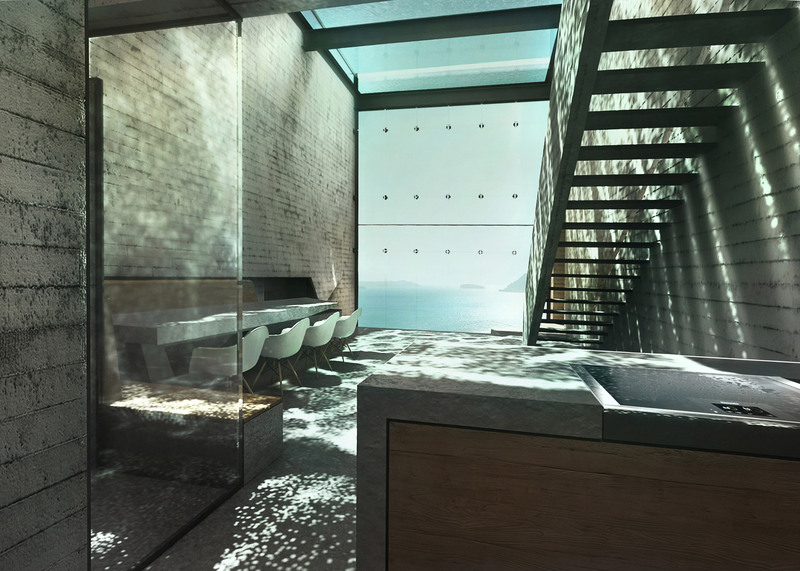 OPA originally released plans for Casa Brutale in July 2015, with no site, client or budget to build it. But the viral success of the renderings has now brought forward a backer with a plot of land on Faqra mountain near Beirut and a budget of $2.5 million (£1.7 million). The project is expected to break ground this summer and its owner will be Alex Demirdjian, the chief executive of Lebanese real estate agent Demco Properties. 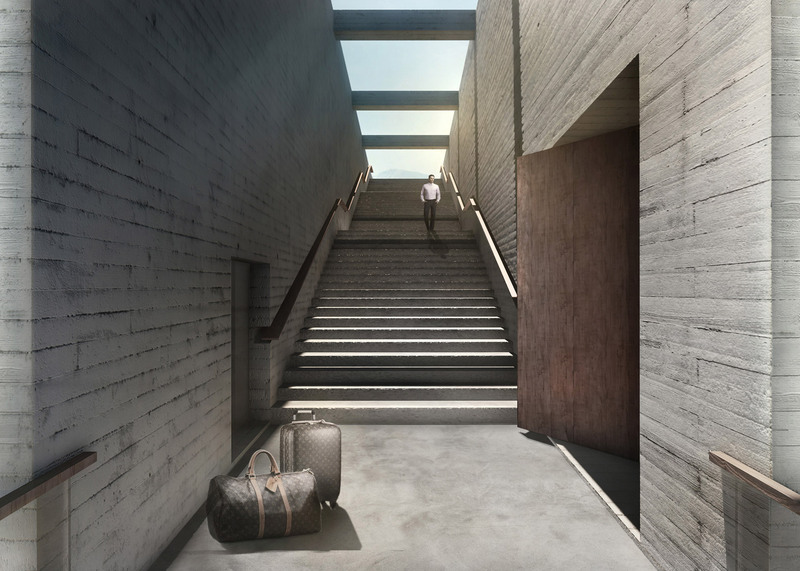 The buried dwelling will be bracketed by three board-marked concrete slabs, while a fourth glazed wall will allow views of the valley to take centre stage. 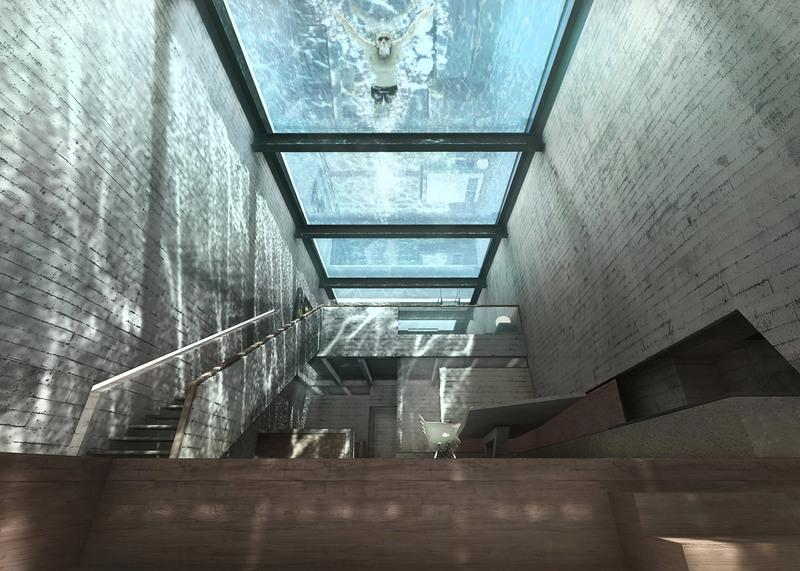 A glass-bottomed pool will allow light to shine into the earth-encased living spaces. 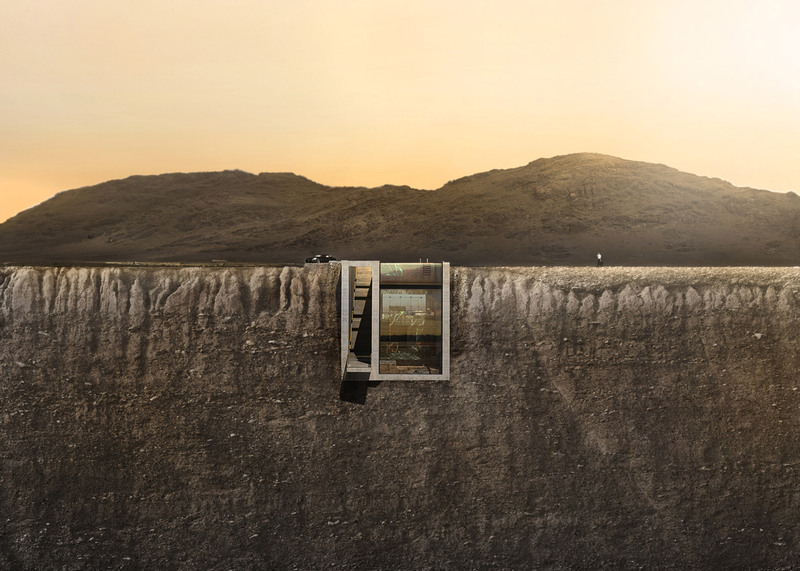 "Designed for the people that want to live, literally and figuratively, on the edge, Casa Brutale was deemed to be a house suitable for James Bond and received feedback both applauding the design and questioning the implementation of its construction," said Laertis-Antonios Ando Vassiliou and Pantelis Kampouropoulos of OPA. 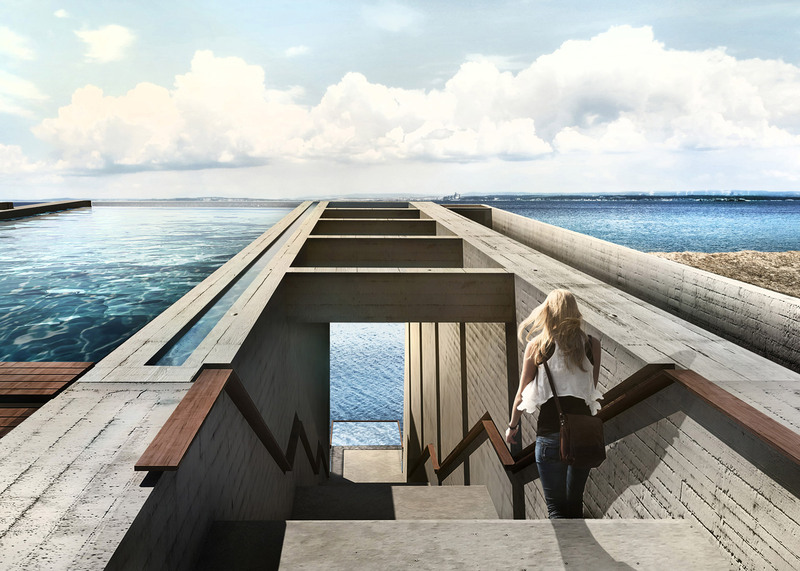 The architects, who are based in Greece and the Netherlands, are working with Arup engineers in Amsterdam and Lebanese studio Sarkis Azadian Architects to finalise the plans. 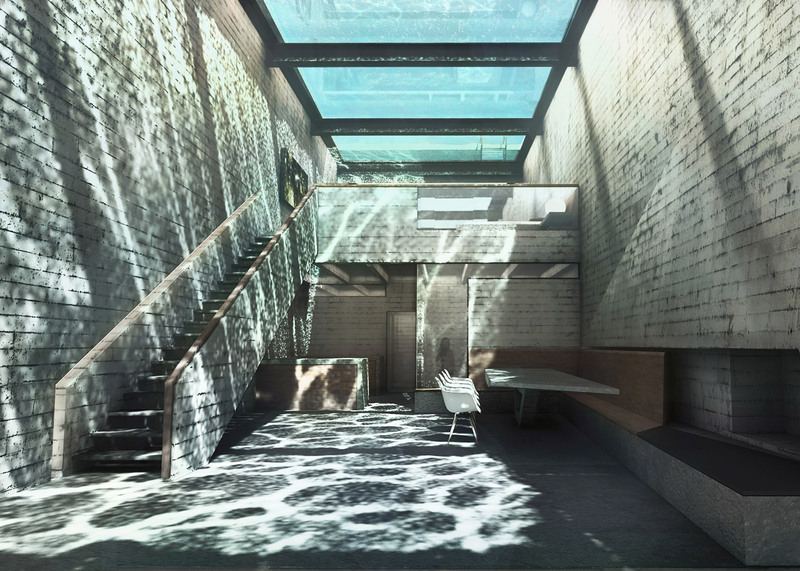 A flight of concrete steps will leads down into a crevice beside the pool to the entrance of the property, where a small balcony will cantilever over the valley. 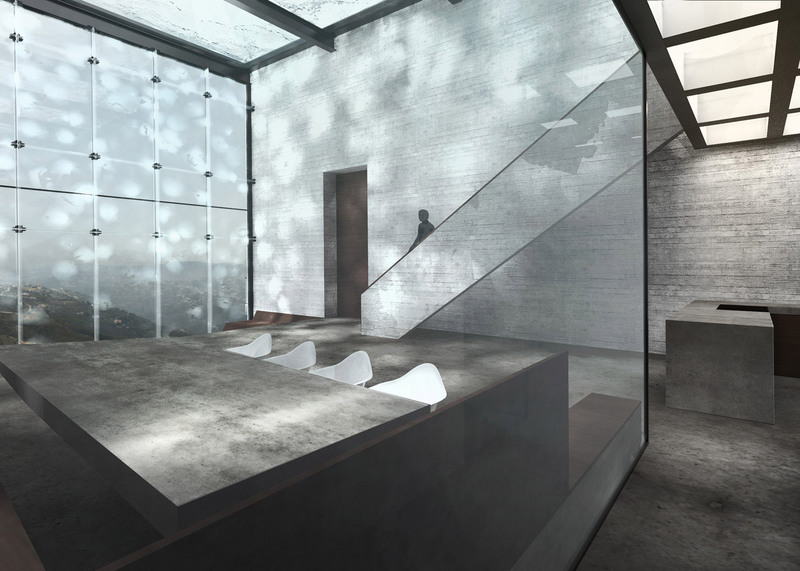 Renderings show minimal interiors featuring cast-concrete furniture with wooden elements, and walls covered in mirrors. A steel staircase will link the two floors of the 270-square-metre residence and "secret" parking will provide parking for at least three cars. "In literal groundbreaking integration, Casa Brutale penetrates the landscape," said the architects. 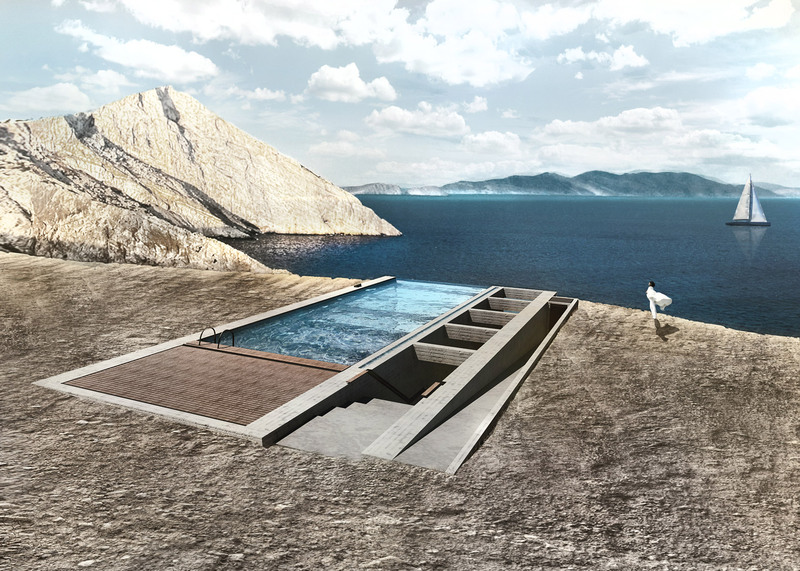 "The optical impact of the building on the landscape is minimal, with only one facade on the cliff side and no volume extruding from the ground level." 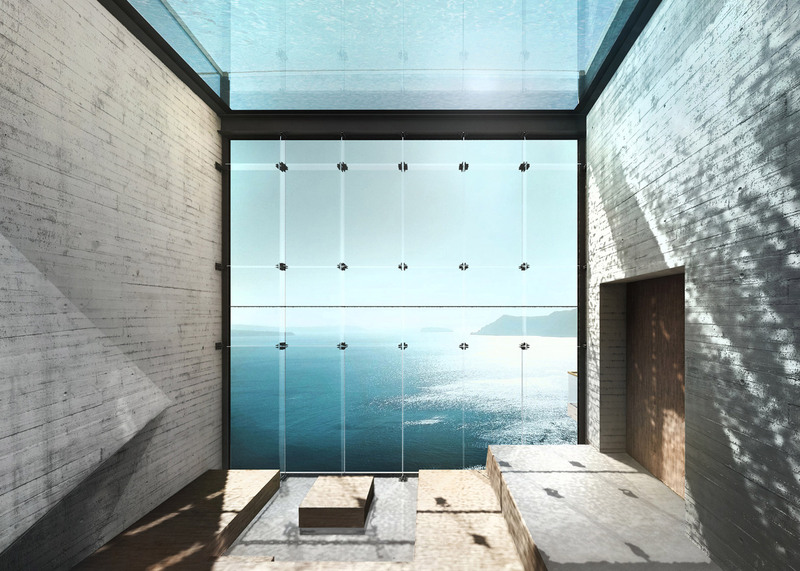 The design is intended as an inverted version of Casa Malaparte, the famous clifftop residence designed by the Italian architect Adalberto Libera in the mid 1930s. 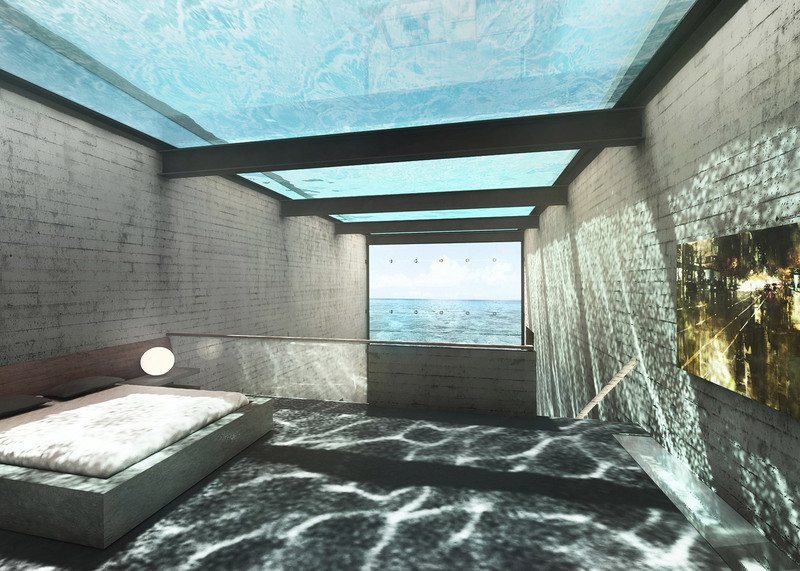 The name, Casa Brutale, is intended to reference both this and the Brutalist architecture movement. While Casa Malaparte features a flight of pyramidal stairs surmounted by a roof-top vantage point, Casa Brutale's vertiginous views are intended to be appreciated from below the ground. 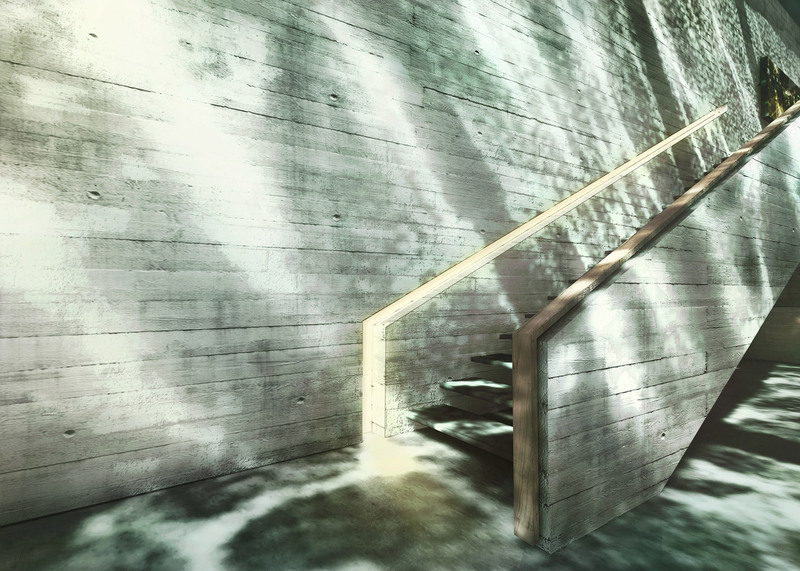 "The dynamic light patterns caress the bare concrete with refractions and shadows," added the pair. 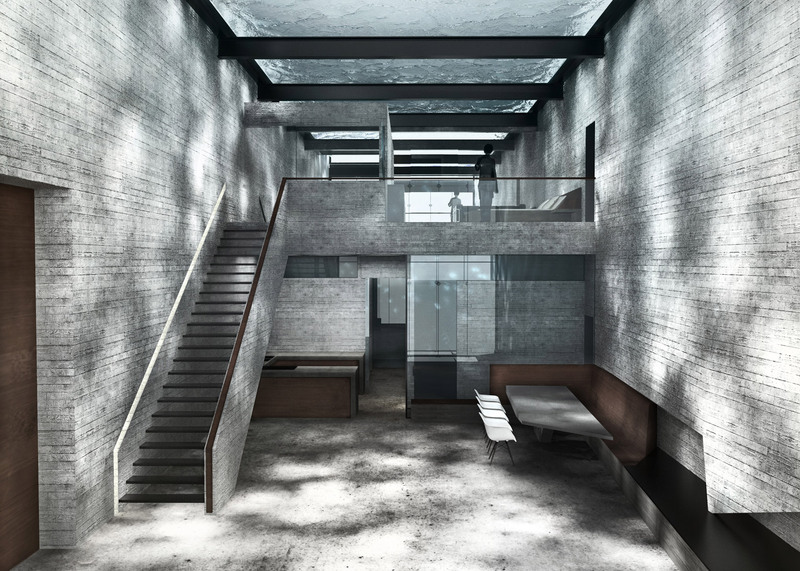 "Casa Brutale redefines the harmonious coexistence of human and nature in a poetic homage to pure Brutalism." 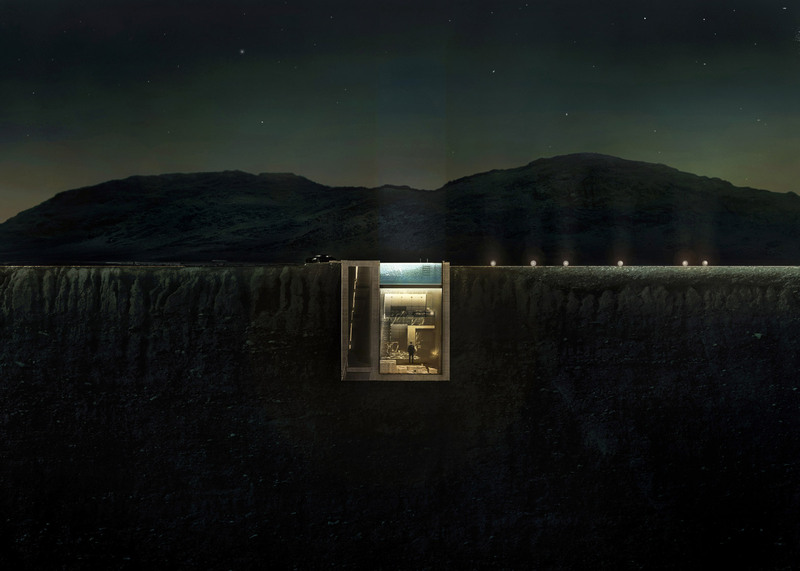 Architectural visualiser Alex Hogrefe recently unveiled a similarly precarious retreat in Iceland, as part of a series of rendering tutorials.